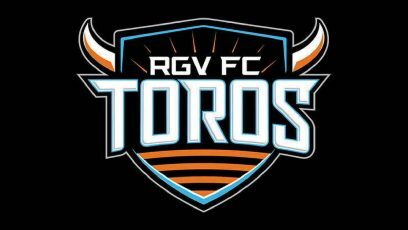 EDINBURG — When the clock ticked into the 80th minute with the RGV FC Toros still facing a one-goal deficit, defender Ivan Magalhaes knew it was time for him to start pressing forward. Then, in the 86th minute, Phoenix Rising FC had a player sent off with a second yellow card. After another Phoenix player was red-carded in the 88th minute, RGV was on an all-out attack. Eventually, 4:30 into the 6 minutes of added stoppage time, the Toros found their breakthrough. Jorginho James chipped a ball into the penalty area, a Phoenix defender popped it into the air with a header, and RGV’s Todd Wharton directed a header center, where Magalhaes scored a header of his own from about 6 yards. The late equalizer secured RGV a 1-1 draw against Phoenix on Saturday at H-E-B Park. The Toros were the far better team statistically throughout the match, holding 69.1 percent of possession, attempting 15 shots to Phoenix’s eight and earning seven corners to Phoenix’s four. The advantage was even more pronounced in the second half, when the Toros outshot Phoenix 13-2, spurred on by a late two-man advantage. Phoenix’s Amadou Dia was sent off in the 86th minute, earning a second yellow card when he charged forward from his defensive position and made a violent attempt at a clearance that connected with Jose Escalante’s shin. Just two minutes later, Phoenix’s Doueugui Mala made a forceful challenge from behind, stepping on the back of Eric Bird’s left leg, and was immediately sent off with a red card. Phoenix scored its lone goal in the 41st minute, when Jason Johnson converted a penalty shot. Johnson started the play by dribbling around Kevin Garcia on the left edge of the penalty box. As Johnson sent a cross toward the middle with his left foot, Toros defender Taylor Hunter turned his back to the ball in an attempt to block it. The cross appeared to careen off Hunter’s shoulder and out of play, and the official cited Hunter for a handball, awarding Phoenix a penalty kick. The Toros vehemently argued the call after the whistle, but to no avail. The RGV FC roster had a heavy Houston Dynamo influence on Saturday, with five starters coming from the first-team roster: Kevin Garcia, Eric Alexander, Joe Holland, Hunter and Escalante. Alexander, who was making his first appearance in an RGV FC uniform, started eight of Houston’s first nine matches before suffering an injury on May 6 against Orlando City SC when a player fell on the side of his leg, causing his knee to buckle. The Dynamo originally announced that an MRI had revealed a Grade 3 MCL sprain in his right knee that would keep him sidelined for eight to 12 weeks. Later, the Dynamo said the MCL had been torn, elongating the timetable. For six weeks, Alexander had to keep his leg straight and avoid exercise, allowing the tear to heal naturally. Another four weeks passed before he was cleared to run at full speed. He said he was back to training for a couple of weeks before coming down for Saturday’s game. Alexander typically hung near the back of the Toros’ formation, playing passes up from the team’s central defenders. In nearly 64 minutes before subbing out, he connected on 41 passes with a 92.7 percent passing accuracy. He said he felt only a little bit of pain after the game, but that he expected that was normal. Gonzalez said he was very happy with Alexander’s performance and that he hoped the Dynamo would be able to use him in the team’s next match. Alexander said he thinks he still has a little time left before he’s ready to return to the MLS level. Former English Premier League star Didier Drogba did not play for Phoenix. He was listed as a sub on the team’s roster but watched the match from the bench in street clothes. As he returned to the sidelines after the halftime break, he waved to a contingent of fans who shouted his name from the H-E-B Park stands.